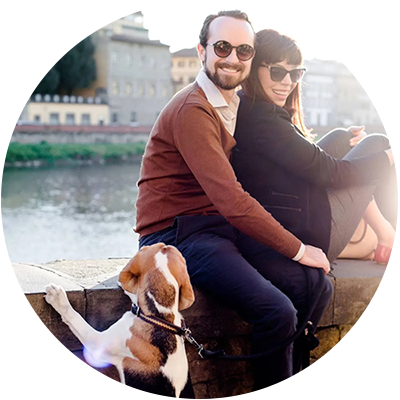 Head to the Ponte Vecchio on most days and expect to cross the city’s most ancient enchanting bridge with throngs of other travelers window-shopping and photographing the view from one of the city’s most popular tourist attractions. 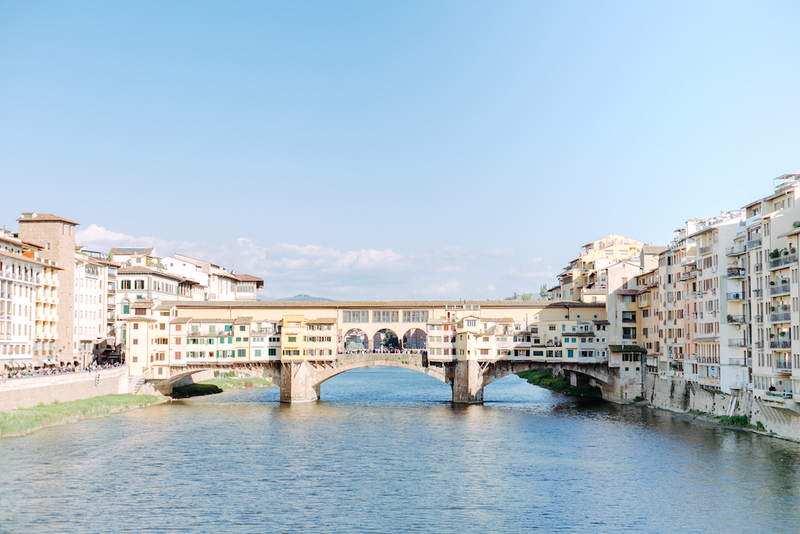 Up until the 13th century, crossing the Ponte Vecchio was really the only way to cross the city a city that was ever growing until the population halved during the black plague. The bridge was completely destroyed in a flood in 1333 and rebuilt in the way it looks today by year 1350. Its distinct design is complete with three arches and a jumble of charming, tiny shops lining its sides. The Ponte Vecchio also serves as a formidable reminder of the strength of a city by even managing to avoid being obliterated by nazis during WWII due to a sympathetic Nazi commander (if one can say that). 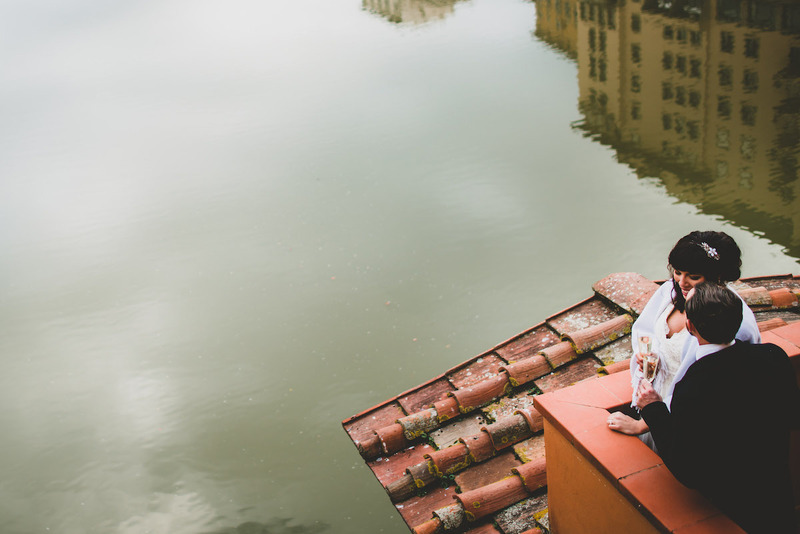 More recently, it withstood the devastating flood of 1966 that flooded the Arno’s riverbanks—water tumbled over the arches and flooded the bridge’s shops, covering the city and the bridge in a blanket of toxic mud and water. Yet still, the Ponte Vecchio did not crumble. Regarding the shops, after the Medici family chose to swap the butcher shops polluting the Arno river with goldsmiths, it nary has changed ever-since. Brilliant baubles make their home here as people daily squeeze into the narrow doorways to haggle over previous jewels and pricey keepsakes. Lucky for me (or not, depending on the crowds), crossing this bridge is part of my commute home. Here people snap selfies or peer at expensive jewelry, tour groups group together to learn about the history or— in the evening, they sit on the steps to listen to live music by enterprising buskers crooning the same tunes night after night. Very often my goal is a little less leisurely. I’m walking the dog, heading to the market or just trying not to be late to a meeting. My favorite time to be here is the morning.. The bridge sits so pretty in the dawn hours as light streams through the central arches and a breeze can actually be felt as few people make their way across. The shops are bolted closed and resemble little wooden jeweled chests, only further increasing your curiosity as it makes you wonder of the glittering objects contained inside. Right after Nico and I got married in 2015, we took photos on the balcony of Fratelli Peruzzi, a renowned silver shop with two locations on the bridge. I remember clasping Nico’s hand tightly as we made our way up a winding set of tiny wooden stairs where a stunning balcony awaited with one of the best views in town. All ours, if just for a moment. Our wedding photographer Francesco went to get long range shots of us from underneath the arched walkway adjacent to the bridge and the Uffizi gallery. We cheered to our new life together, me with my best friend with a bottle of chilled bubbles celebrating in the city both of us came to call home. The Ponte Vecchio, despite the obvious pricey gold on show, is home to a fair amount of “secrets” should one want to find them. 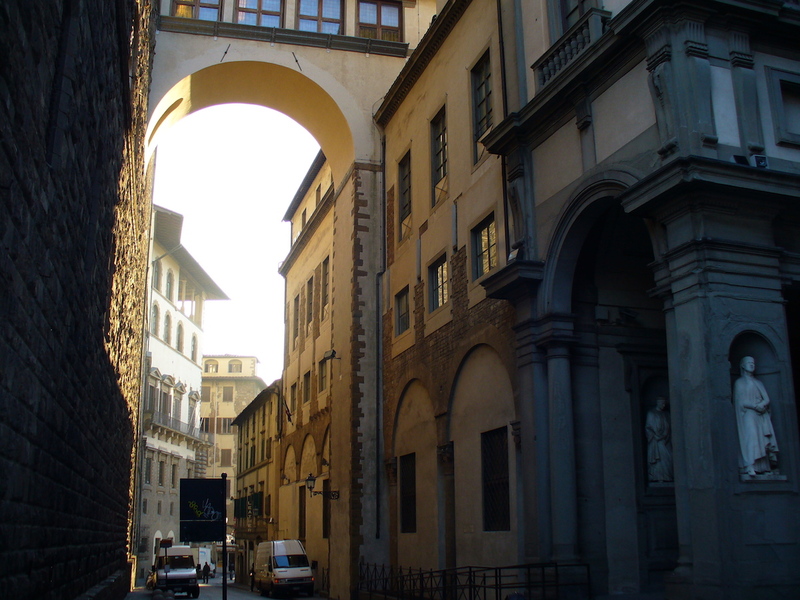 You knew at this point I was apt to bring up the Vasari Corridor which if I can keep it 100& honest for a second on this blog, is really anything but a secret. However for anyone who hasn’t done a quick google search on the “must-sees” of Florence it is worth noting that there is indeed a private passageway above the shops along the bridge, connecting the Palazzo Vecchio to Pitti Palace, which for the most part is still closed for renovations however one part, the “Prince’s passage,” is now open to the public. The Vasari corridor built in 1564 by Giorgio Vasari served as an elevated 1 kilometer covered walkway for the illustrious Medici family—specifically the Grand Duke of Tuscany, to make his way to work or pray at a private balcony in the church of Santa Felicita without having to mingle with common folk. New finds (for me) seem to happen frequently too. Like discovering a sundial on the Ponte Vecchio, something that seems to have passed me by in the ten years that I have lived here. I should note that Florentines have often used sundials to tell time before the inventions of clocks. 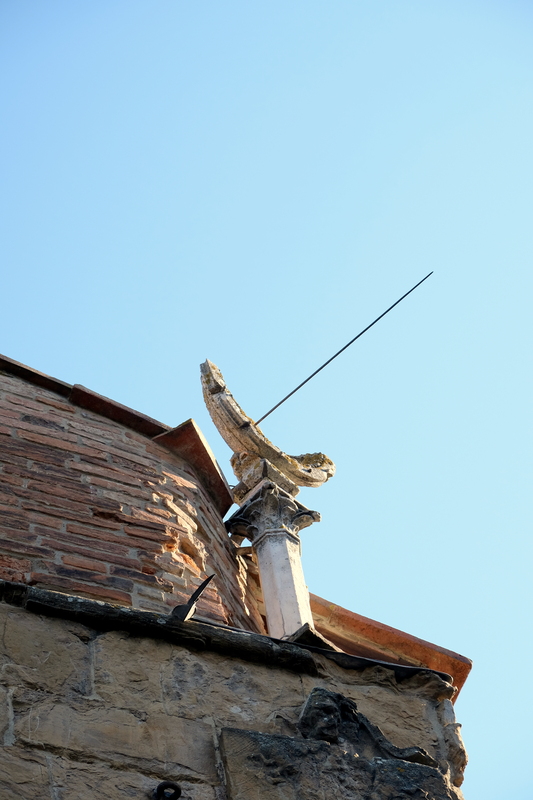 You can see one on the facade of Santa Maria Novella church, Santa Maria del Fiore (the Duomo) or for a more modern version built in 2006, at the Galileo Science museum. Just today, I stopped before my morning meeting to take a photo of the Arno’s crystal-clear reflection, because yeah I do that sometimes. As I turned away to head through the crowds, I spotted a slightly dirty plaque that could barely be read against the wall. It was to the right of sculptor and goldsmith Benvenuto Cellini’s bust and spoke of a sundial I really couldn’t see. I looked all around me but only spotted the usual suspects crowding the Ponte Vecchio— wide-brimmed hats, cheap Pinocchio souvenirs and tour groups shoving me into the wall as I looked for this dubious sundial. Finally (and I note that I should have seen this sooner) I looked up and spotted the quirky stone column looking a bit randomly placed on the roof of the same building as the plaque. I squinted in the sunlight and realized that—this was the sundial I had just read about. A huge needle pointed out from the half circle on top of the column, the gnomon then projects its shadow onto the cup thus marking the hour. The sundial faces south, it is made of a white marble cup divided by thin columns indicating the canonical hours which mark the divisions of the day in terms of periods of fixed prayer at regular intervals. The first is at dawn, the third at 9.00am, the sixth at noon, the ninth at 3pm and finally the 12th at sunset. It’s curiosities like this still tickles my fancy about living in Florence. In fact, I didn’t even plan on writing this post however my inner nerd wants this little find to encourage you to look up when you walk around our Renaissance city. After all, you never know what you might find.. 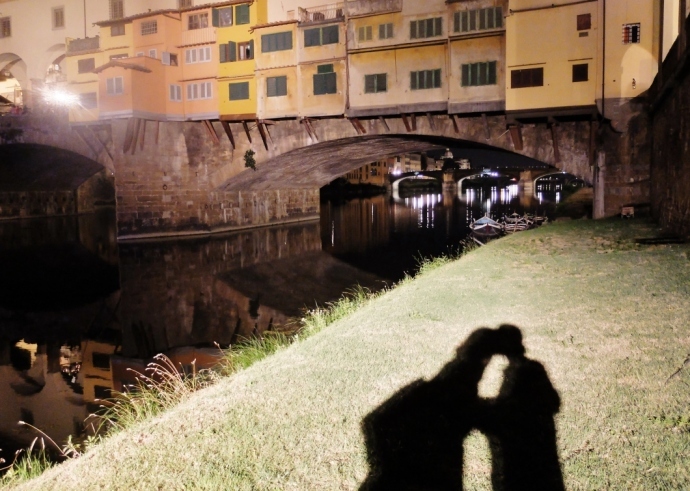 Still curious about the Ponte Vecchio? 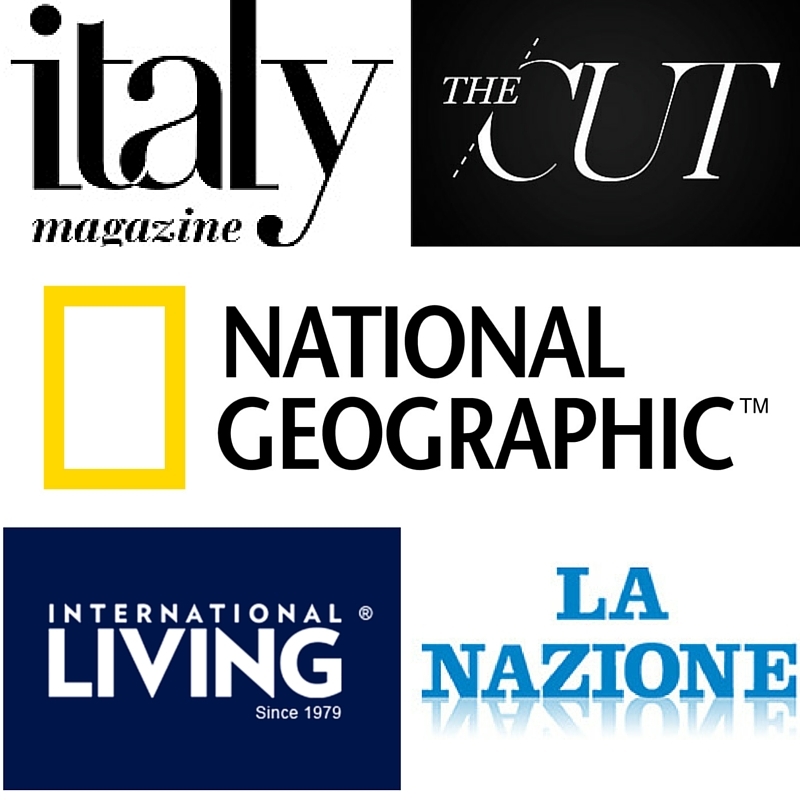 Don’t forget to check out these articles offering more insight into our famous bridge. 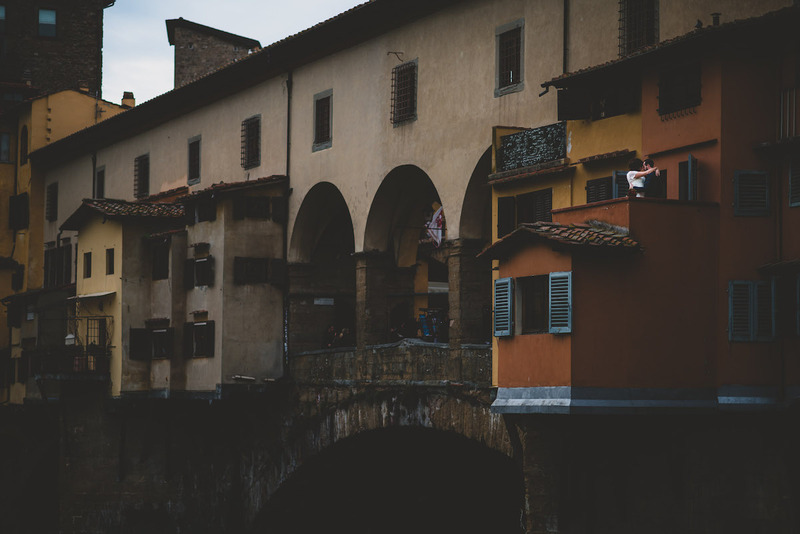 5 things you didn’t know about the Ponte Vecchio by Visit Tuscany. I have subscribed to your great blog for sometime now..In fact I now spend 7 months a year in this fabulous city..
For some reason I no longer receive your blog by email ?? I have tried to re register but no luck..
Hello Jacqueline, thank you for letting me know, I so appreciate that you have been following me for some time. At the moment I am working on migrating my email notifications for posts with Mailchimp. If you hang tight for a week I should have everything set up so that you can resubscribe and get notifications every time a new post is published (of course no spam, I hate that!). What an interesting post! 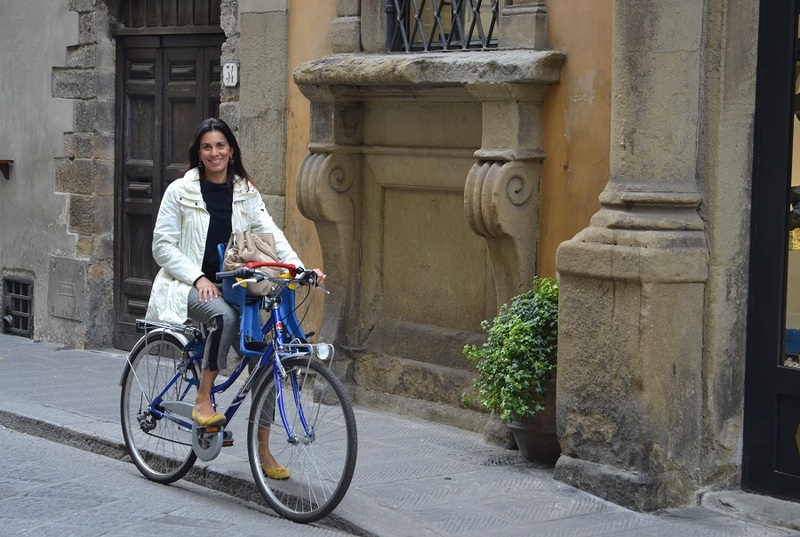 I lived in Florence for the past four months from February through the end of May. 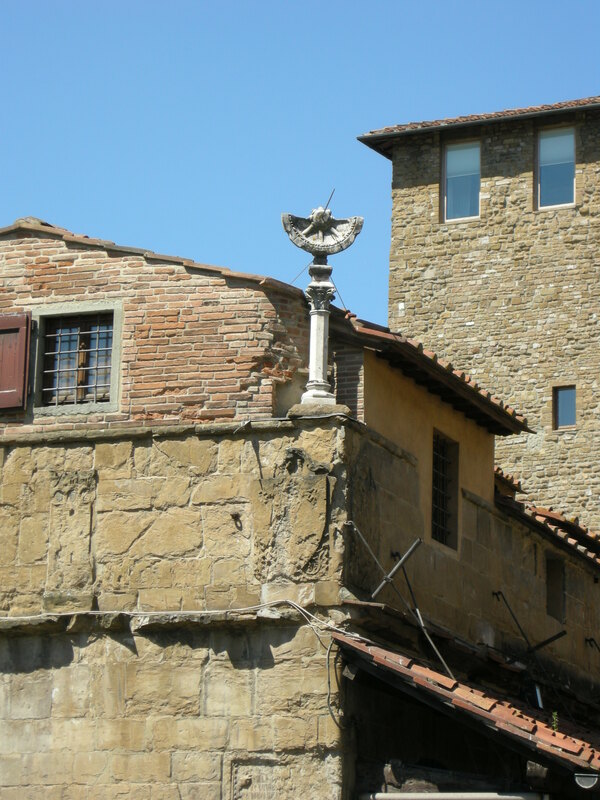 We crossed the Ponte Vecchio every single day and I had never noticed the sundial. 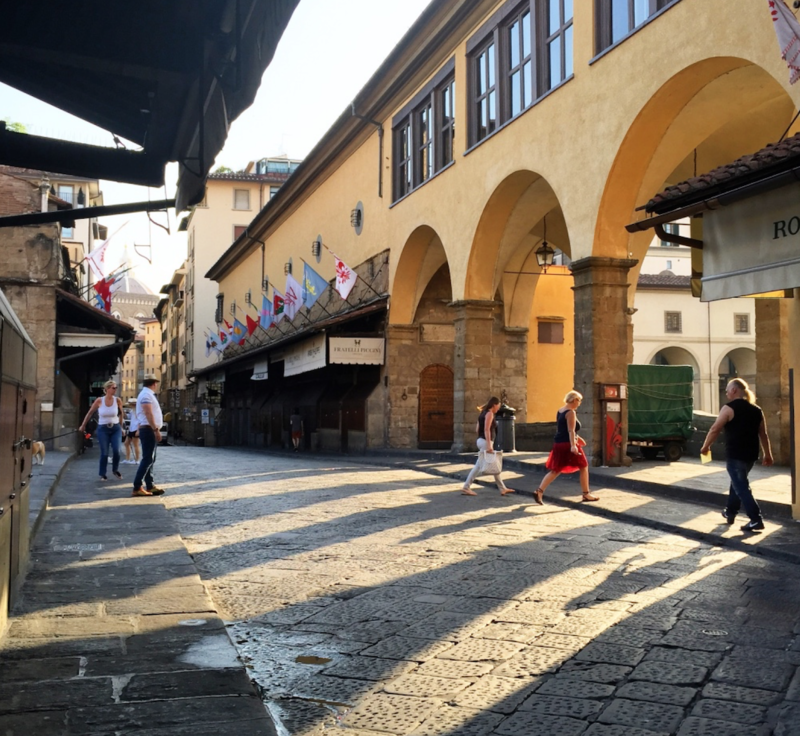 The endless amount of secrets and history Florence holds is incredibly exciting, while also chilling. I am interested to learn more about this and to live vicariously through you! Thank you Stella for taking the time to comment. This was a recent find for me and I live here so you aren’t alone. The funny thing is that now that I’ve written about it, it’s the first thing I spot when crossing the bridge now. 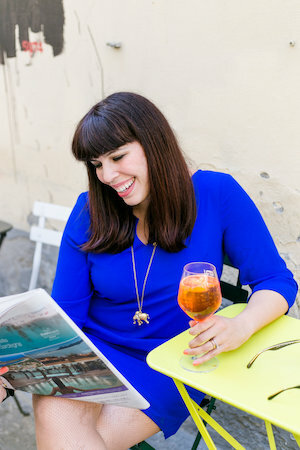 I definitely plan to share more curious aspects about Florence on the blog this Fall so stay tuned and thanks for the support! 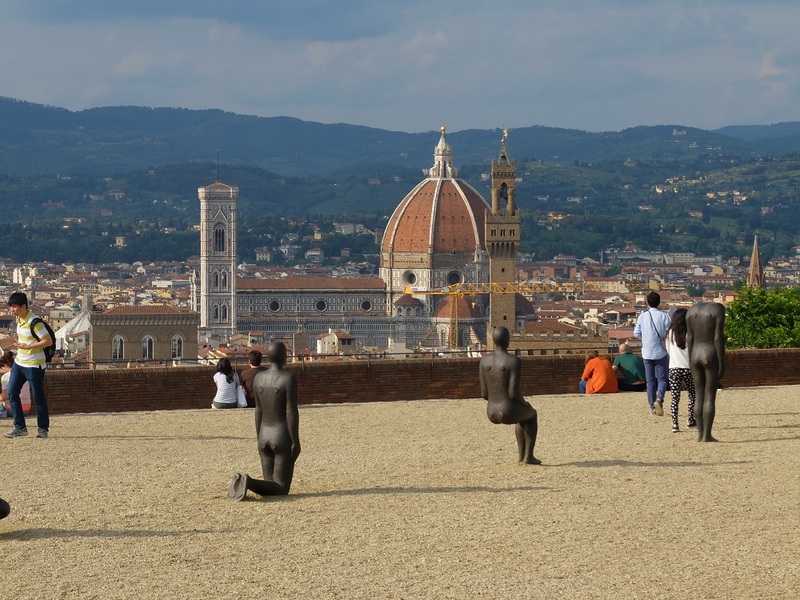 Florence is a city that has an ancient history, this city has long been a reference point for not only Florentine but for important people from all world. 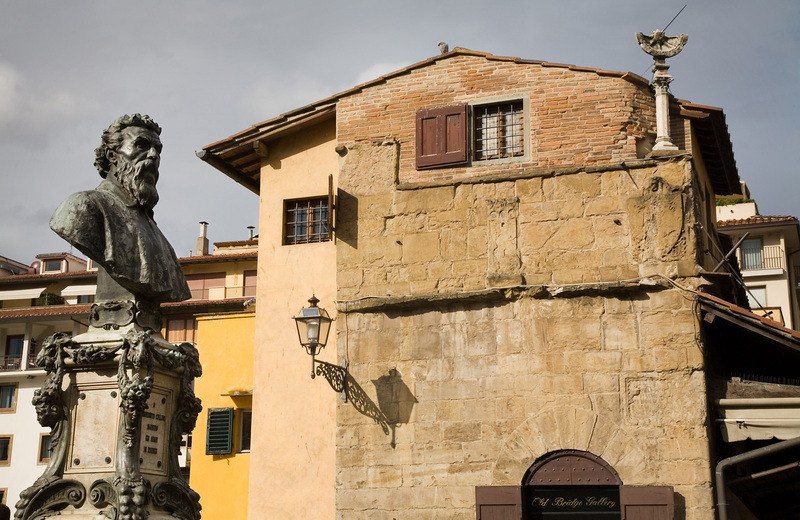 Not just the Ponte Vecchio but many streets and squares hide anecdotes and secrets that have been the protagonists of the history of this very beautiful Italian art city. Funny story: last October we’re crossing the PV and I spot the sundial. “There’s a story to that” I tell my wife, remembering that I had seen something about it on your IG. But then I couldn’t remember what it was! Still it was so cool to see it in person. Thanks for mentioning it again today. Florence holds a special place in our hearts, you see my mom grew up there during the war. They lived in an apt just across the street from the Arno near the pointe Vecchio. (Their apt bldg. was blown up during a bombing of the other bridges). My parents met in Florence, where my father attended art school after the war. Even though my father didn’t speak Italian and my mom didn’t speak English, they married in the plazza Vecchio in 1952. Shortly after they got married, my dad returned to the states and made arrangements for his bride to come here. They were married for almost 50 years. When my dad passed away in 1998 some of his ashes were scattered in Italy.